Launch of Sorab sepejhri book, with Abbas Hojatpanah Photos. 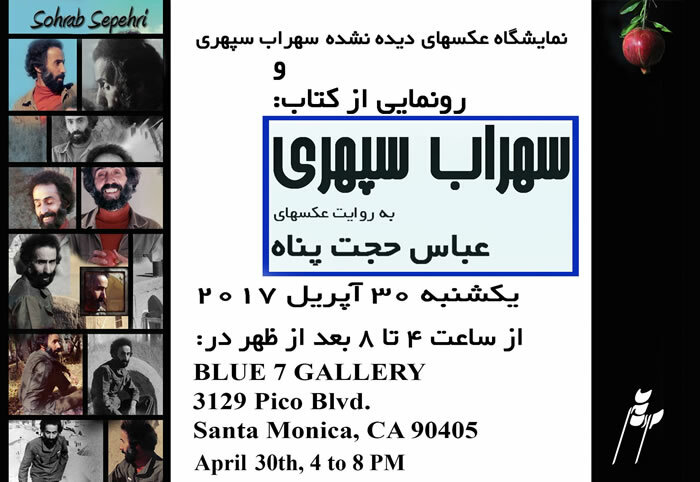 4 - 8 pm at Blue 7 Gallery, 3129 Pico Bl. Santa Monica, CA 90405 .